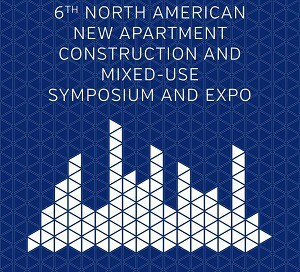 Mixed-use developments were a trend in the United States about 15 years ago, but have cooled in the past decade according to one industry veteran, speaking at the North American New Apartment Construction and Mixed-Use Symposium and Expo. Mixed-use developments were in the spotlight at the North American New Apartment Construction and Mixed-Use Symposium and Expo in Toronto. Jim Arbury, the retired former senior vice-president of the National Multifamily Housing Council in Washington, D.C., said many apartment owners south of the border still aren’t anxious to embrace mixed-use. That’s particularly the case where there’s 10,000 square feet of retail at ground level topped by a single residential building, he told attendees at the Metro Toronto Convention Centre on June 6. Editor’s Note: This is Part II of a two-part feature from this forum. Part I appeared in Tuesday’s RENX.ca Property Biz section. Platinum Investment Real Estate Group Inc. president Sean Greene agreed and said larger developments have better opportunities to shape the retail component. Humphreys & Partners Architects, L.P. president Greg Faulkner said his firm is working on projects in the U.S. where big box stores have closed and properties are being rezoned. “Some of the things we’re doing with those sites, where you have 10 or 20 acres or more, is doing more of a town centre where there’s offices, retail and restaurants. Those types of thing tend to work,” Faulkner said. “Why do you want to do mixed-use?” Arbury asked. “You either have residential driving retail, where you say you’re going to bring in a lot of people to live here and you want to get retail to come in because there are going to be people there. Arbury said online retail has grown from five to 15 per cent of total U.S. sales over the past few years. He believes that could grow to 40 or 50 per cent within 10 years. Salons, barbers, dental and medical offices, courier drop-off depots and restaurants were also recommended as good businesses for mixed-use developments. “It’s very difficult to find a nice location, whether it’s for an office or a small business, that works and has other nice businesses around,” said Greene. “They’re usually relegated to those really old strip malls and they deal with a spectrum of retail uses. “Our goal is to make an A-list, a B-list and a C-list and really concentrate on those A-list, craftsman-type businesses and local businesses, places that people want to go, and create a community of those spaces. Greene stressed the importance of signing the right retail tenant for a building, as opposed to taking the first one that offers the desired rent.